While I would love to say that my spring cleaning is completely finished, it is unfortunately still in full force at my house. Between work schedules and the release of new video games, we are slowly getting through the cleaning process. Part of what makes cleaning so miserable is not finding the right cleaner for the job. While I am big into using my green cleaners, sometimes you need something strong when mold or soap scum take hold. When it comes to serious cleaning, I found there is one brand that I trust – CLR. I’ve learned that when I need to get the job done with only half the time, these are the products. After my last CLR review, I couldn’t wait try more of their amazing products, especially if they would make cleaning even easier! Looking for a bathroom and kitchen cleaner that can get rid of even the toughest of dirt? If so, the CLR Bath & Kitchen Cleaner is exactly what you need. Out of all the cleaners I have tried by CLR, this has to be in my top three. This cleaner cuts through soap scum like nothing I have seen. It even does a great job cutting through calcium, lime, hard water deposits, dirt, and that nasty film that can sometimes appear in your shower. Just leave it on for a few minutes, wipe, and you are good to go! Like other CLR products, it is also eco-friendly, containing no phosphates ammonia, or bleach. Okay ladies, how many of you have dropped nail polish on the rug or makeup? I have done this before and nothing gives you a sick feeling like thinking that you just destroyed your $1,000+ bedroom or living carpet. While you can find a variety of concoctions on Pinterest that claim to get these products up, nothing works like CLR’s Stain Magnet. This eco-friendly cleaner is great at getting out some of the toughest stains from nearly any surface, including lipstick, nail polish, paint, shoe polish, red wine, ink, crayon, and even permanent marker! When it comes to all purpose cleaner this is truly your best friend! I don’t know about you, but I don’t like cooking on anything that looks dirty. I won’t even consider cooking with a dirty, burned pan, so why do the same on my grill? 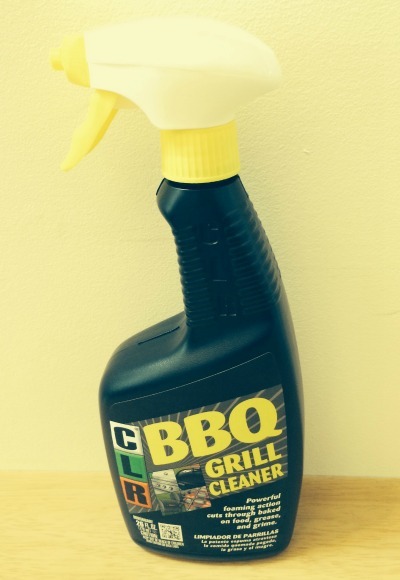 CLR’s BBQ Grill Cleaner is a powerful spray that cuts through baked food, grease, and other grime. As well, it works on just about any type of BBQ grill, smoker, or deep fryer, making sure you can get just about anything you want clean. It is also nonflammable and non-toxic, allowing you to relax during the BBQ season and not worry about a flareup the next time you light the grill. Best of all, it is very easy and quick to use, allowing you to clean your grill whenever you need. Have a tough clog that refuses to go anywhere? If so, we think you will love CLR’s Power Plumber. This drain opener unclogs drains in seconds and contain no CFC, harsh acids, additives, or lye. In other words, it is environmentally safe, allowing you to unclog any drain in your home without hurting the environment. Best of all, it is made right here in the United States. As well, if it doesn’t work to your satisfaction, you can return it for a 100% money back guarantee. With such an awesome drain cleaner, why use anything else? As someone who loves CLR products, I have to say I wasn’t disappointed with any of these products. They did a fantastic job cleaning up messes throughout my home and giving us back one of our most valuable resources – time. After testing out these products for the last few weeks, I have to say I am even more amazed with CLR products than I was previously. 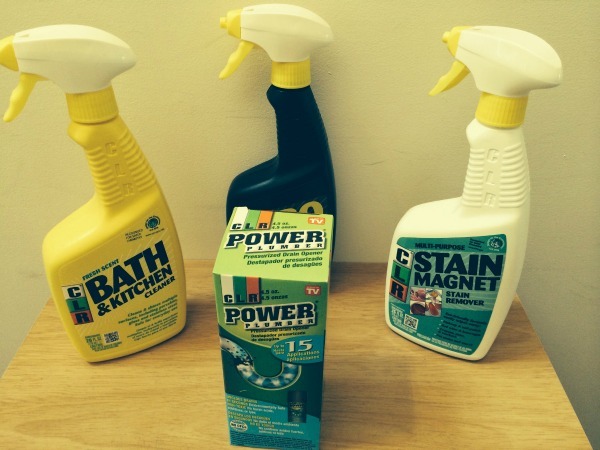 Based on my own experience, I am happy to give these four CLR products an A+ rating! Would you like to try any of the products featured in this review? You can find CLR products at your local hardware store or big box retailer, including Wal-Mart, Kroger, Home Depot, Target, and Lowes. 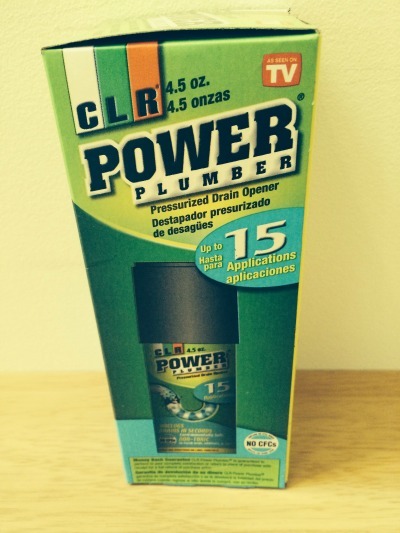 The only exception is the CLR Power Plumber, which is sold only in hardware stores. To see if a store near you carries CLR products, make sure to check out the Jelmar store locator. If you cannot find it at your local store, you can also purchase their products on Amazon.com. Great post. I have never used CLR products but I will give them a try. Thank you for your great review! Great post! I have never used CLR products before but I will give them a try. Thank you for your great review! i tried CLR and was not impressed. i am willing to try it again. Those are some powerful cleansers. I haven’t tried the grill cleaner yet. I have seen commericals for CLR but haven’t tried them yet. I hate scrubbing the soap scum on shower doors so this product would be great. I also did not know there was a grill cleaner. No more scrubbing for me! Yes, but I don’t remember for certain which products are recommended for glass top. At the time I did this review I did not have a glass top stove so I’m not 100% sure. Currently I use soft scrub on mine, which was recommended by the stove’s retailer.